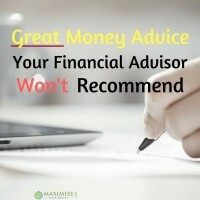 I had a recent discussion with a young man (20-something), who is currently making about $50k per year, on how he didn’t feel like he would ever be able to save up decent money toward retirement. I pointed out a couple of quick items for him but he wasn’t a client so we didn’t sit down and analyze the entire situation. That said, it did get me wondering about how things have worked out for me on my own retirement accounts. Upon looking at my personal accounts (because retirement accounts aren’t joint accounts – these are just my accounts) I see that I have total balances of more than $500k. “Balances” because I have various types of retirement accounts from different types of work I’ve done in the past and this is the total of them all combined. I graduated college at age 22 and was making under $30k per year for my first few years of employment. Around age 26 I actually took a pay cut because I wanted to change fields and I knew I had to start at the bottom to gain some experience. I’m 46 as of writing this today (in 2016). After just 24 years of full-time post-college work and contributing to retirement accounts, I have half a million dollars saved up that I can access penalty-free when I turn 59 1/2. Most people work until their mid-60s – some until age 70 when they can get the maximum social security benefits. So for an average person I’m only about half way done with earning and continuing to grow my retirement accounts. It’s very reasonable to think that the balances will grow past $1 million before I reach 70 years old. How have I achieved such a lofty goal? The first thing that I’m sure a number of readers will think to themselves is “well, he must have made a ton of money later in life” and yes, I have been compensated nicely in recent years. BUT, these are retirement accounts we’re talking about here – so there are contribution limits. Someone making a million dollars per year (no, I’ve never had a salary that large) can’t contribute any more to their IRA or 401k than someone making $100k or even $50k per year. It isn’t that I was able to drop in tens of thousands of dollars each year – I was limited just like you are. So what did I do? How did I get here? First I was consistent. With every job I had, if they offered a retirement plan option, I always contributed. I always set this up right from the start as soon as I was able and I never thought about it afterward. Each pay check I got was a certain amount that was after taxes, retirement contributions, health care, etc were taken out and that’s what we lived on. Every single paycheck at every job I had. The earlier you start (for me it was about age 22), the better off you will be. 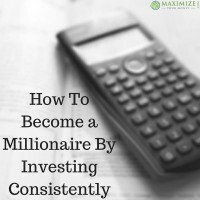 If you haven’t already read my post about the magic of consistent investing, you should read that and make sure you understand just how powerful consistency is when talking about investments and building wealth. As mentioned above, there are limits on retirement contributions – for you and for me. For 401k contributions today in 2016 that means a maximum of $18,000 added to the account before any employer matches. So I contributed right up to that maximum. I know some people who don’t take advantage of employer retirement plan options at all. I know others who only contribute enough to get the employer match (commonly around 2-4% of an employee’s salary). But I put in the most that I was legally allowed and I just left it alone. I worked with the human resources department to figure out how much should be held from each check for me to stay right at that annual limit, and that’s where we set things. “Safe” investments can kill a retirement plan. 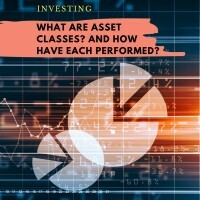 Many people are afraid of investing in stocks (usually because they just don’t understand) and they wind up putting their money in bonds or worse – like a cash savings account. Sorry but that’s bad news and it is very likely that inflation will outpace those types of investments and the purchasing power in the future will actually be lower than it is today – you’re losing money if your investments are too conservative. At times I’ve had as much as 10% of my portfolio invested in bonds with the other 90% in stocks. Today I am 100% invested in stocks. I truly believe – and history shows – that investing in stocks consistently over an extended period of time is one of the best ways to build wealth. 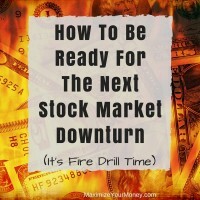 As I’ve written before, yes, stocks can and will drop. They seem to drop at least 10% every few years. There have been years when the stock market has dropped 40% or more! But we’re talking about retirement accounts here – money that I personally won’t be able to touch still for another 20 years. I have a lot of faith in the American economy and stock market and I solidly believe that the trend will be very positive growth over a long-term twenty-year period. 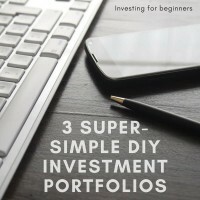 So my three guidelines that got me to half a million in my “middle years” of life are: Contribute consistently to retirement accounts; Contribute the maximum allowed to retirement accounts; Minimize “safe” investments and go for stocks over the long haul. Here’s something else you might not have thought of, even with some hints above. These are just MY retirement accounts. Those of you that follow us know that I’ve been married to a wonderful woman named Karla (who also writes here) for over 22 years now. She has also worked almost all of that time and has followed very similar retirement philosophies – and has also built up a substantial retirement savings. 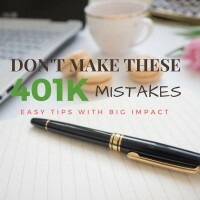 If you are married, and both people work full-time for companies that provide a 401k or similar benefits, the potential for retiring as millionaires, or multimillionaires, is very reasonable. Especially if you follow similar guidelines as I’ve outlined and even more so the earlier you start. How do wealthy people live? Time in the market is definitely the key factor. Even if you feel like you can’t max out your 401k contribution or IRA at the very least contribute to what your employer matches!! Then, when or if you change jobs, make sure your roll over your account to the new employer if they allow it or to a IRA. Common mistake (and I did it too) is to take the money and blow it. Ouch. Over time as your wage increases or you able to control your expenses, bump that contribution till you are maxing it out. We’ve all seen that graphic where the 20 year old contributes $2k a year for 20 years and stops vs the 40 year old starts contributing $5k or more and the 20 year old still comes out ahead at age 65. Starting where you can and increasing savings as income rises is a great option. 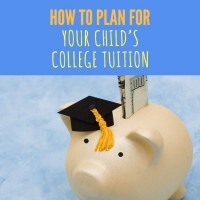 Definitely better to start early and save what you can. Thanks for stopping by! Great advice! I maxed my 401ks for 15 yrs plus contributed to Roth’s maxed, and invested any extra monies automatically dollar cost averaging into mutuals or ETFs. It has paid off nicely. Live within your means, start early, let compounding work for you, reinvest your dividends etc. Thanks for stopping by Laura and sharing those thoughts! Great article, full of reassuring, immutable yet semi-obvious and truths. I need to reread this every 6 months when I start feeling envious of people long on AMZN which just continues to shatter the ceiling.